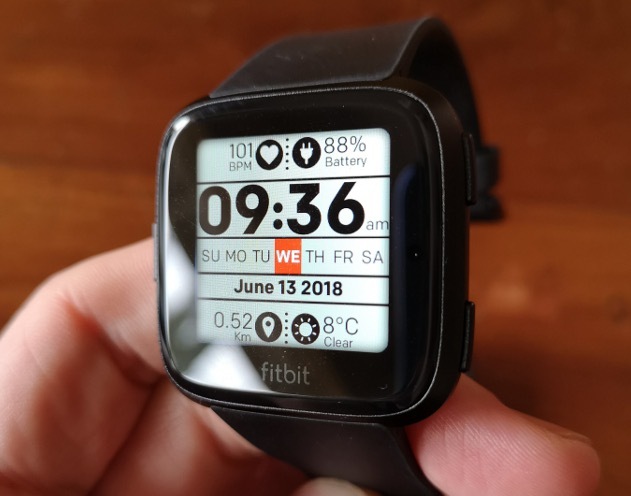 Fitbit Versa is marketed overseas as the affordable smartwatch, but locally priced at R3 200 it’s perhaps not as affordable as one would hope. But for that price you buy into a comprehensive system, since Fitbit has managed to transcend the world of simply tracking activity. Automatic sleep, heart rate and exercise tracking, plus the manual input of your food, water and weight, push the Fitbit range into something more than a watch that counts your steps. Listening to Vincent Lamoureux, Fitbit’s director of new markets, at the launch of the Versa in South Africa, it appears that the company is positioning itself as one that is concerned with overall health and wellbeing, not just fitness. This is clear from the female health tracking option in the Fitbit app for the Versa, which now keeps track of menstrual cycle and symptoms. 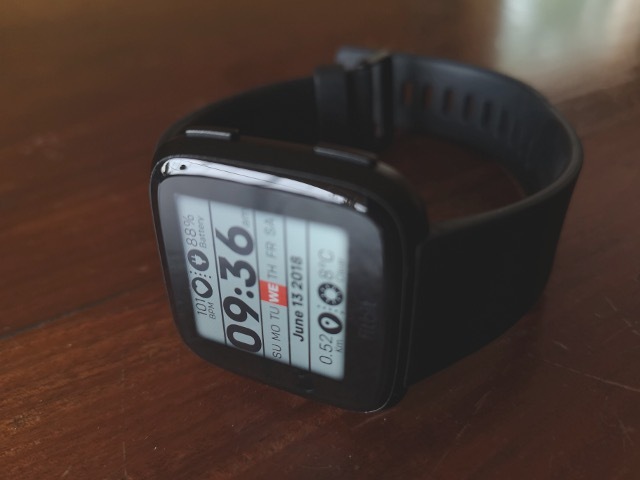 You will also find experimental features, such the Mood Log watch face, where you’re able to log your moods during the course of the day, and get stats pertaining to that online. First and foremost, the Versa does what it’s supposed to do well, and that is monitoring your heart rate, tracking your steps, and logging your sleep. The sleep tracking one is interesting, since it also keeps note of your sleep stages, something few other smartwatches do. Knowing how much you sleep, your steps and heart rate is great, but doesn’t necessarily mean much if it’s not interpreted or compared, and that’s something I always thought was lacking from Fitbit’s part. I would have liked more information about how these impact my overall health, or how I’m doing compare to others my age, but Fitbit is a bit stingy with this if you think how much data they have available from users to work with. As a smartwatch, you get calls and notifications on the Versa (plus you can use quick responds directly from the watch), but that didn’t always work as well as expected, sometimes coming through and other times not. The Versa itself is perhaps not as good looking as the Ionic, but it’s light and unobtrusive enough to wear to bed, and also waterproof for those who want to take it swimming. As a running watch I’m still not entirely confident that it would replace a Garmin or TomTom anytime soon though. This is mostly because it doesn’t contain built-in GPS, and I find the screen difficult to navigate during a run. A Strava app lets you export your runs, and luckily so, since Fitbit is also quite bad with tracking your best 5 km or longest run as say for example the TomTom Runner 3. The Versa, however, will suffice as a gym companion, seeing that you are now also able to save MP3s on the watch and listen to it via Bluetooth earphones (not part of the package). A three-month subscription to Deezer is included, although it can take a bit of time to set up. The choice of watch faces certainly ups my love of the newer Fitbit watches, with a lot to pick from. Although you can load apps on the Versa, the amount of useful ones are not as large as say on Apple’s offerings. For finding my way at night, the FlashLight app came in quite handy. In all, using the Fitbit’s full functionality is not the hassle-free experience it should be. Finding and retaining a wi-fi network can be hard, while curating which activities the Versa must display also didn’t sync after the first few tries. Battery life pushes five days which is decent, but you do need the proprietary cradle for charging. After a sufficient period of time with the Versa, I still prefer the Ionic as my Fitbit of choice, mainly for its styling and built-in GPS. But it is R1800 dearer than the Versa, while the Versa will do much the same. 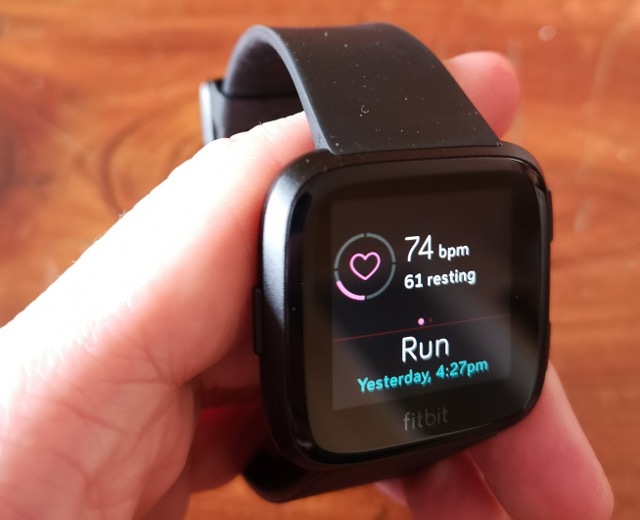 If this is your first venture into smartwatch territory, the Versa is unobtrusive and will do its main tasks – heart rate, activity and sleep monitoring – well. 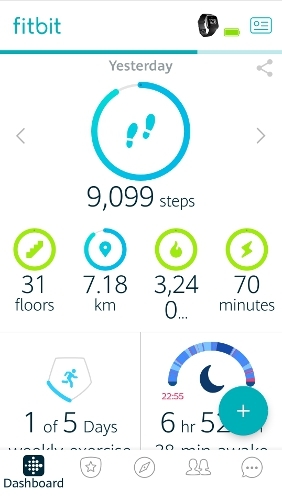 With the R&D done over at Fitbit, I suspect that further improvements will be passed down along the way through updates to the watch and app. FULL DISCLOSURE: The Fitbit Versa was received as a seeding unit at the launch event. Nice size, space for music, ok price.